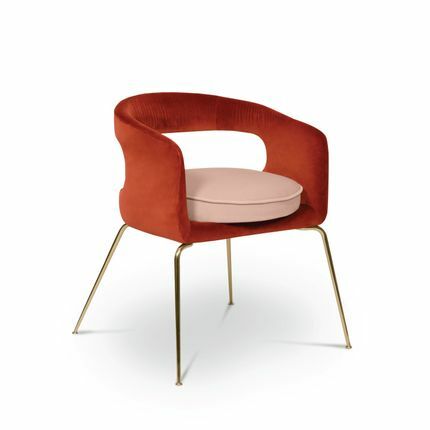 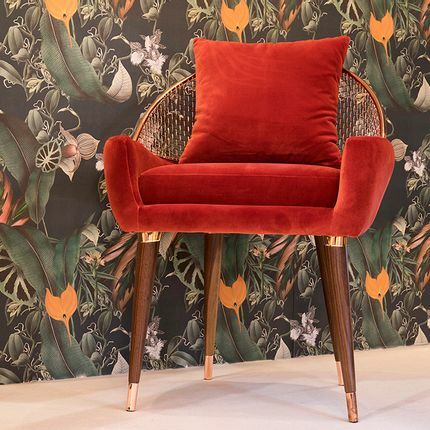 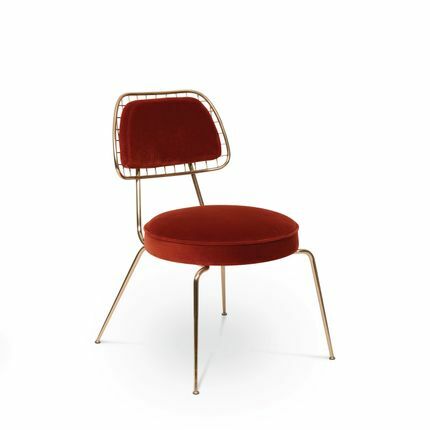 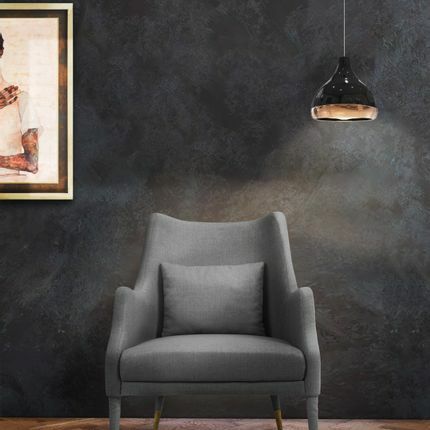 Ellen is a fanciful dining chair full of luxurious features. 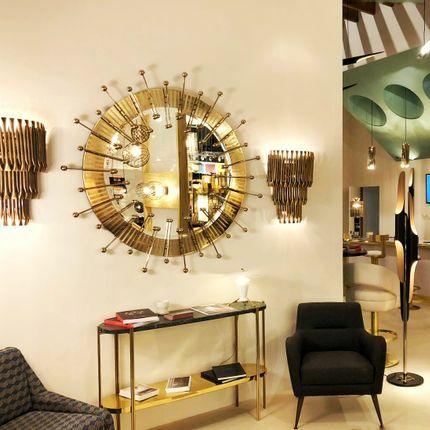 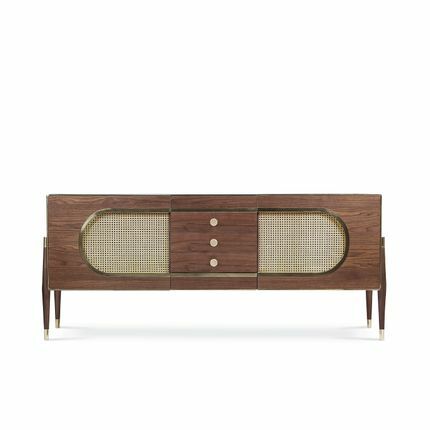 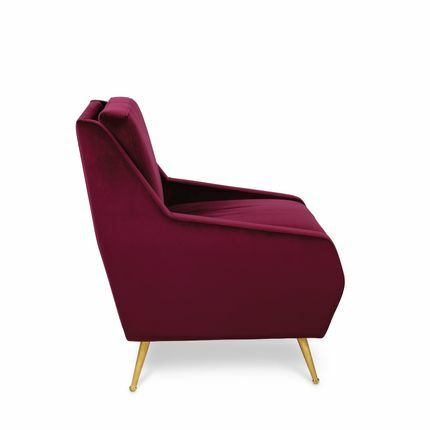 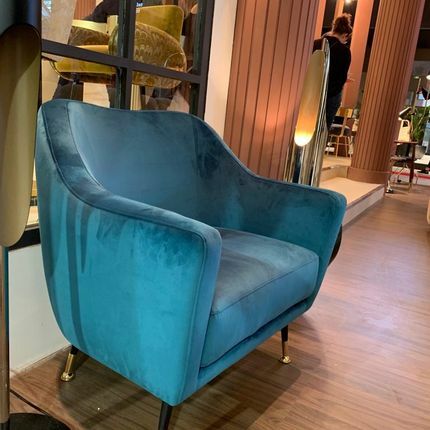 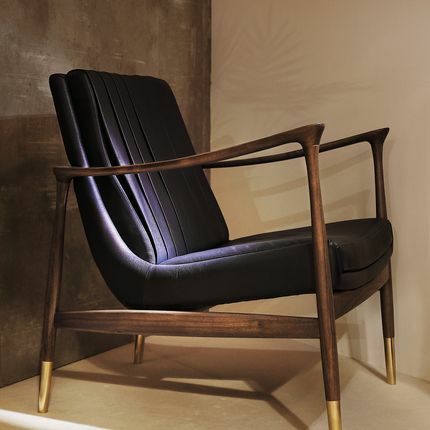 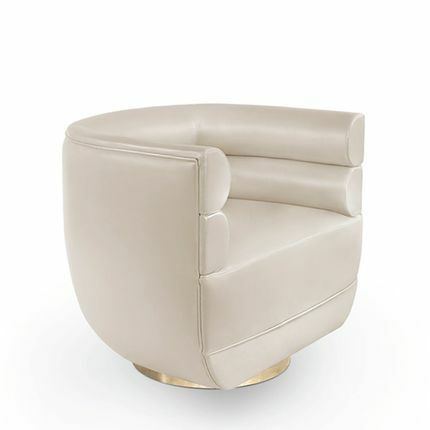 Its distinctive open curved back is extremely sculptured and it contrasts with the slim legs made of polished brass. 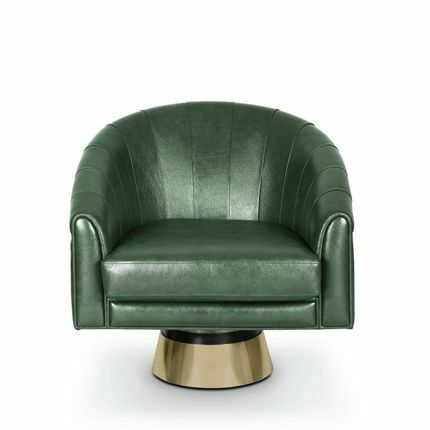 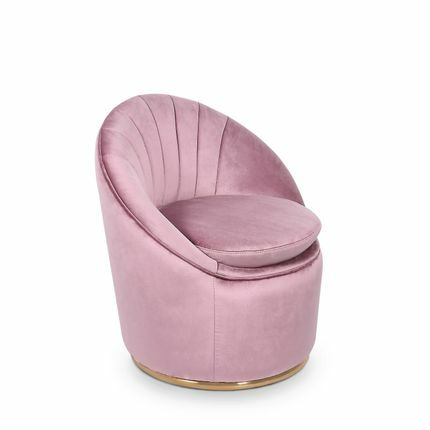 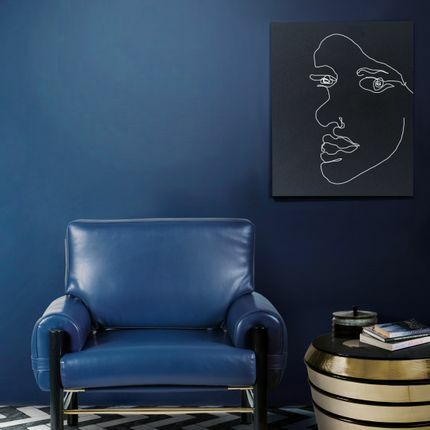 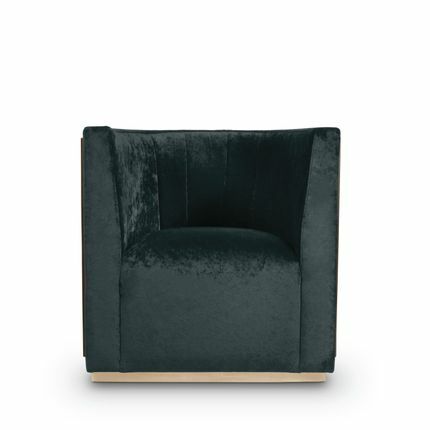 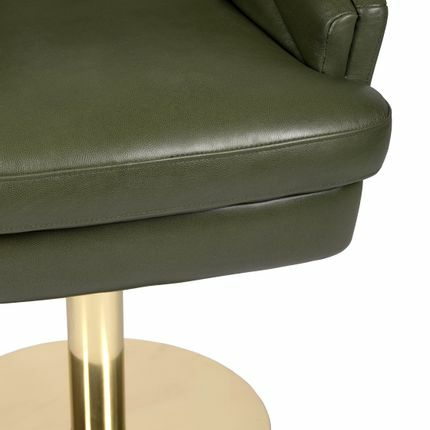 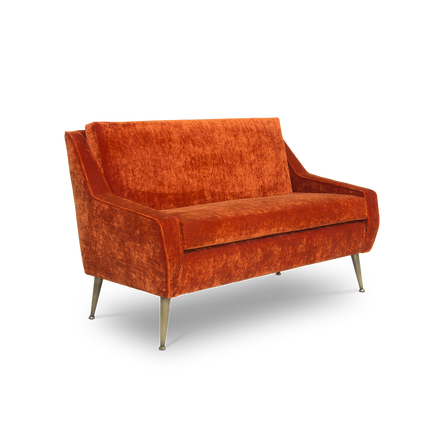 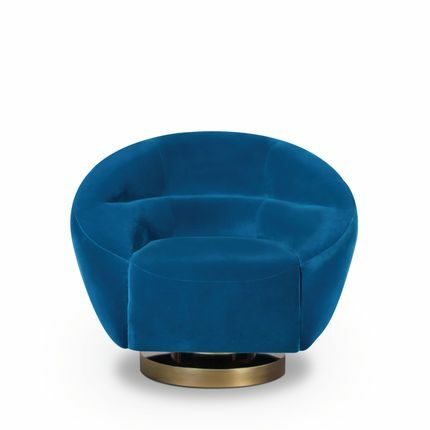 It is upholstered in velvet and has mixed tones both on the back and the round cushioned pad .